Companies such as Hughes and Spacenet probably don’t have to worry about, as their future in transaction processing with VSAT technology isn’t going away. It may not be growing much, but the business is there. Until an alternative process for secure transactions comes around. Well, here comes Verizon Private IP Wireless LTE. With the new service, customers with LTE smartphones and tablets and LTE modems for their laptops can access the nearest cell tower and will then be routed to an enterprise gateway in one of many Verizon switching centers, Konings said. Data routed to and through the enterprise gateway is encoded, but not encrypted, and kept totally separate from the public Internet. Encryption of the data can be added, if desired. At a Verizon switching center, the data then also joins Verizon’s global MPLS network, Konings said. Verizon demonstrated ATM cash machines that are connected to its LTE network at CES in January, but the company didn’t describe its Private IP connection, which can be used to keep transactions secure and will allow a bank to move an ATM more easily to a new location. LTE speeds, generally described by Verizon as 10 times faster than EV-DO, will also be useful for quickly activating remote digital signs and can even be used for transmitting video wirelessly, he said. A news report with video can be transmitted over the Private IP LTE network instead of a more expensive satellite connection, he said. 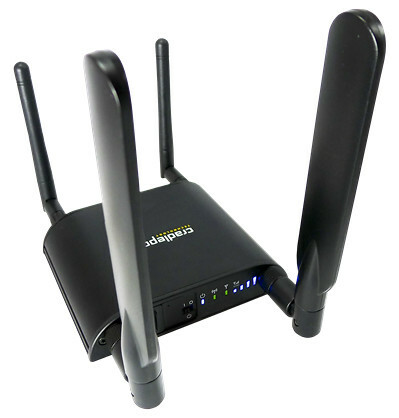 Also, wireless over LTE could be used as a backup network or for routing data to storage. “With faster speeds, companies can provide many more apps [wirelessly] than before,” he said. Verizon describes its LTE speeds for consumers as averaging 10 Mbps on downlinks, with up to 2 Mbps on uplinks. In addition to wireless data costs, the only cost to a business for Private IP over LTE is a $500 one-time charge to create a mobile private network, which can serve up to 1,000 sites, Konings said. SNG? 1,000 data site? That’s satcom territory! This will be interesting to watch — especially when you add the satellite bandwidth used for video contribution feeds. Big business (read: satellite operators) ought to take notice. This entry was posted on Wednesday, April 18th, 2012 at 12:23 pm	and is filed under Communications, Satellites, Space Business. You can follow any responses to this entry through the RSS 2.0 feed. You can leave a response, or trackback from your own site.